• The Seven Network has unveiled its plans for development over the coming 18 months. Seven is number one for total viewers, 16-39s, 18-49s and 25-54s across the current television year. This is Seven’s 10th consecutive year of leadership – a performance underpinned by its commitment to the creation and development of Australian programming and a focus on delivering the biggest events to all Australians, any time and on your device. Seven’s plans released today see the company build on this leadership with a string of renewals for major hit franchises and dramas and a portfolio of major sports events that will drive its audience delivery across 2017 and into 2018. 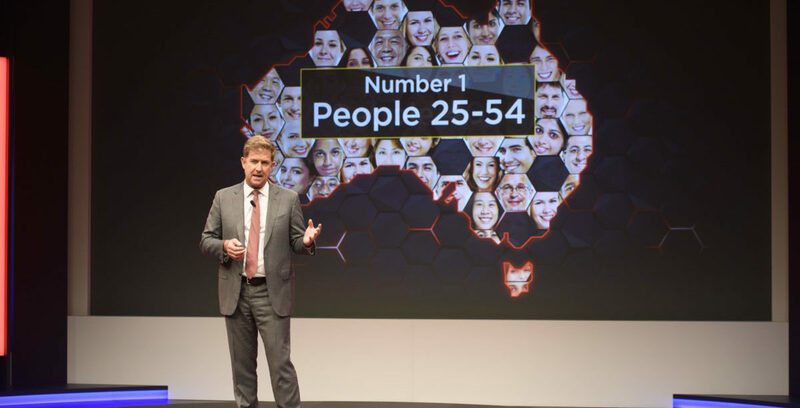 Seven sales executive Nikki Rooke was the first to take the stage to welcome guests in Sydney plus TV audiences watching a live feed at hosted events in Melbourne and Brisbane. The event started at 5.45pm and ended close to an hour later, not counting some extra time spent listening to a sports Q&A and a quick wander around the My Kitchen Rules set. Across the rest of the hour guests heard from Seven’s Tim Worner, Kurt Burnette, Bruce McAvaney and Adam Elliott. This year was more about the content, despite not too many new shows, and a little less jargon about data and tech. The Seven Network moves into 2017 with a new long-term partnership with the Australian Football League and a portfolio of major sports events across 2017-2018, including the AFL Grand Final, the Melbourne Cup, the Rugby League World Cup, the Australian Open, the XXIII Olympic Winter Games in PyeongChang in 2018 and the XXI Commonwealth Games on the Gold Coast in April 2018. Seven is also the network of the Games of the XXXII Olympiad in Tokyo in 2020. Seven also unveiled key elements of a strong slate of new programs that builds on the network’s leadership across primetime. And beyond Seven’s commitment to broadcast television, the company also released plans for its further development in the delivery of its market-leading broadcast television, publishing and digital content to all Australians.